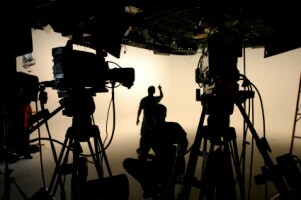 Big Vision Rentals is your complete hi-definition production resource from Concept to Completion. Do you have a project coming up? Need help turning your vision into a reality? Would you like to work with a team that helps you complete your best work? If you have a need for quality original media then you have come to the right place. Big Vision Rentals will take you down the road to success for each and every project you might have. We can take your project from the beginning, where it is a mere idea, all the way through to the end where we will hand you complete and edited media in any format that you desire. If you know exactly what you want then we will help you do it your way. If you do not, we can direct you on the best way to get it done. Big Vision Rentals has the resources and know how to take you through the planning, location, budgeting, hiring, renting equipment, setting up, shooting, taking down and editing phases of your project so that you will end up with something you can be proud of.